Although Damien Dark and his organization H.I.V.E. will be the main antagonists in Arrow Season 4, they of course won’t be the only bad guys Oliver Queen and Team Arrow will be facing. During the DC TV panel at San Diego Comic-Con, it was announced that Batman adversary Anarky would be appearing on the show. Now it’s been announced that actor Alexander Calvert will be the one going up against Oliver Queen. Comic Book Resources has learned that Calvert will recur as Arrow’s Anarky, whose real name is Lonnie Machin. Debuting in Episode 2, he is described as a “deranged freelancing criminal” who will go to extreme measures to impress a potential employer. 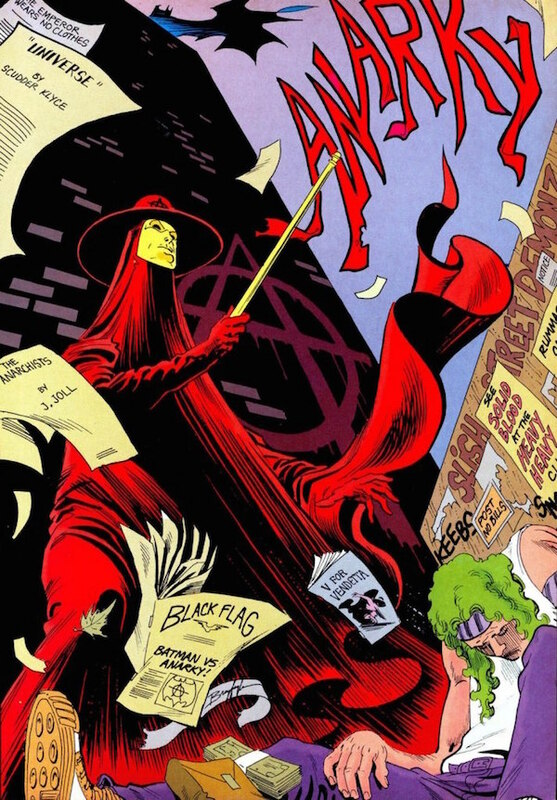 Anarky is the latest enemy of Gotham City’s Dark Knight that’s been added to Arrow. Previous bad guys have included Deadshot, Firefly, The Dollmaker and Ra’s al Ghul. Calvert’s resume includes recurring roles on Bates Motel and The Returned. He is the third new actor announced for Season 4, following Neal McDonough as Darhk and Echo Kellum as Mr. Terrific. In the comics, Lonnie debuted in Detective Comics #608 in 1989. As a child prodigy, he found himself disgusted with the behavior of governments and corporations. After reading literature on anarchism and philosophy, the boy decided to take action for himself, and at only 12 years old, he became Anarky. After assaulting several power officials and leaving his calling card (a red A within a circle), Batman eventually stopped his terror spree. The character’s popularity grew so much that he received his own limited series in 1997, followed by a quickly cancelled ongoing series in 1999. After years of absence, he returned in 2008 as the hacker Moneyspider, and since then others have taken the Anarky name for themselves. Outside of the comics, Anarky served as the main antagonist in the short-lived animated series Beware the Batman and also appeared in Batman: Arkham Origins. Although the description is vague, Arrow’s Anarky doesn’t seem to have much in common with his comic book counterpart. Instead of being motivated by social issues and targeting those he deems corrupt, this version sounds like he’s just an assassin who’s desperate for approval. Of course, since Anarky will be a recurring character, perhaps fans will see him fleshed out more as the season goes on.